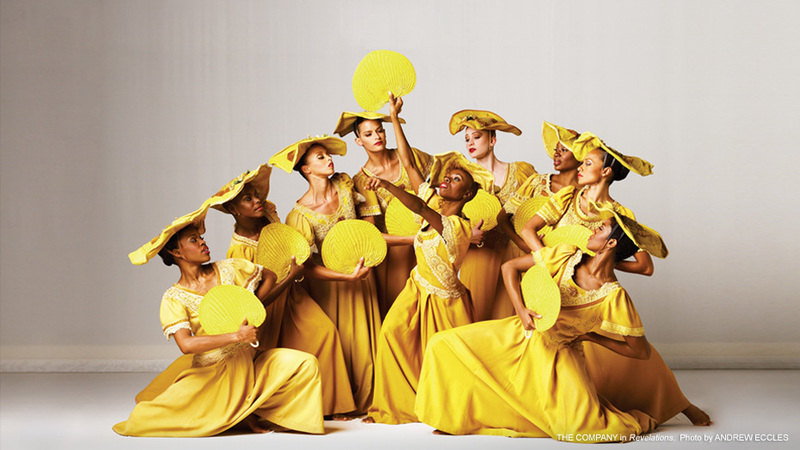 The Alvin Ailey American Dance Theatre will take up residence at the David H. Koch Theater in Lincoln Center this month for the first time in 10 years. The acclaimed contemporary dance company will perform seven shows, which you can see snippets of here. When not at the Lincoln Center, the company performs its touring and regular season at the NY City Center. Purchase tickets for the limited run here. The only thing better than free museum entry is late hours AND free museum entry. From 6-9pm on the 12th, one can sample the museums along 5th avenue from The Met on 82nd Street to El Museo De Bario on 104th. The strip will also be closed to traffic - where there will be street performers and live music. Tip: the event only goes for 3 hours so strategise which museums to visit wisely. Visit the website for more information. It's all about Gatsby this summer so dust of your flapper getup and art deco accessories for this annual shindig at Governor's Island. There will be plenty of jazz, prohibition-era cocktails and enough drop waist dresses to drive any 20s enthusiast into a frenzy. When you need to take a break from swing dancing, marvel at the array of vintage cars and stalls selling antique goods. This is a very popular event so get your tickets in advance here. This quirky parade started over 30 years ago to celebrate mythology of the sea. Held in Coney Island, the parade draws over half a million spectators and features plenty of bizarre floats and offbeat revelers in various degrees of undress. I suppose mermaids and mermen don't wear clothes under the sea? 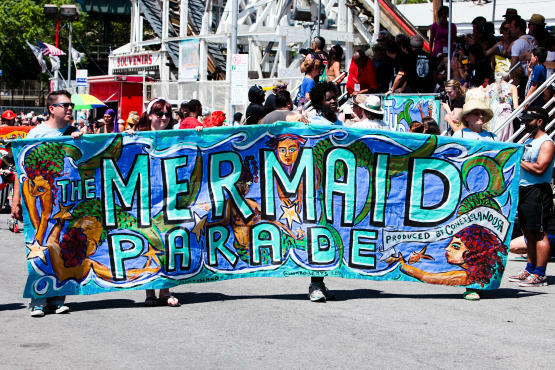 Anyhoo, it isn't a Mermaid Parade without royalty - this year, Judah Friedlander will be crowned King Neptune, with Carole Radziwill honoured as Queen Mermaid. If you would like to walk in the parade, registrations are still open here. This international short film festival first started in Sydney and returns to NYC later this month. 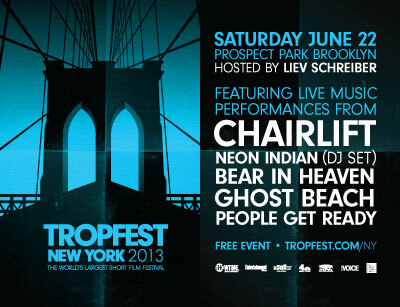 The sunset event at Prospect Park will showcase finalists from a call for submissions last month - each film can only be 7 minutes long and must include a Tropfest Signature Item (TSI) within the film. This year's TSI is "Bridge" which can be interpreted in any way, abstract or literal, by the filmmaker. The last Tropfest I attended was in Sydney in 2007 and the TSI then was "sneeze" - made for some highly hilarious interpretations. The event is free and like any other gratis event, be sure to go early to stake a spot. For more information, visit their website here. Pride Week takes place during the last week of June to celebrate the vibrant LGBT community in NYC. There will plenty of parties and celebrations, including the Rapture on the River women's dance and an official rooftop party. Events culminate with the Pride March on June 30, which commemorates the sad Stonewall Riots of 1969. Naturally the march will pass through the Stonewall Inn on Christopher Street. I have close friends travelling from Melbourne for Pride this year - I just know we are going to have a ball! The biggest outdoor dance party celebrates it's 25th anniversary this month and will take place at Damrosch Park in Lincoln Center. Don't let the title fool you - besides swing, there will be soca, salsa, tango, R&B and a special disco night to celebrate Donna Summer. This is such a well-thought-out event because if you don't know how to boogie, there will be a group dance lesson to show you moves before the bands begin their sets. Multiple-night passes are available here or get single tickets at the venue. I will kick myself if I miss out disco night so see you on July 11th! 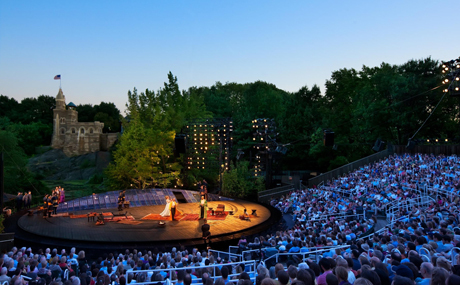 The Public Theatre has put on Shakespeare at the Delacorte Theater in Central Park for over 40 years. A Comedy of Errors opens this year's season and will run till June 30 - with this year's big name star being Jesse Tyler Ferguson. Taking over after is Love Labour's Lost, showing from July 23 to August 18. Tickets are free and are distributed at noon daily (get there early!) or try your luck at the online lottery. If you are feeling benevolent, becoming a summer supporter gives you a ticket to the season. The Park Avenue Armory which once contained Ann Hamilton's giant swing set, will be transformed into a dark fairy-tale forest for Paul McCarthy's exhibit, WS. The 55,000-square-foot Drill Hall will be installed with tall trees, unusual sculptures and bizarre suburban houses, which together with immersive video and sound, will piece together McCarthy's interpretation of Snow White (or as he titles it: White Snow). Unlike the swing exhibit, this is no childhood fairytale, so leave the kids at home. June is filled with all kinds of outdoor fun. Wear lots of sunscreen and have a wonderful month! Well, hello fellow Gemini! Looks like we have yet another thing in common. :) Paul McCarthy's exhibit looks good it might just tempt me enough to make a trip to NY. Hmm.. The WS exhibit could be really good or really creepy! I might wait for post-opening reviews before deciding whether to go! Oh my goodness! It's a party in NYC. My favorites are: Alvin Ailey and the Jazz Age Lawn Party. So cool. I know, right? NYC turns into a one big party in warm weather! 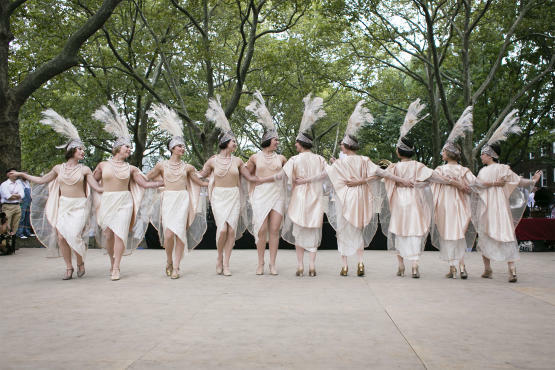 While I am missing out on Alvin Ailey, I hope to make it out to the Jazz Age Lawn Party in August - can't wait! Geminis of the world unite! These look like great June activities. Wish I were in NYC!